Home - What does the Dashboard provide? – Welcome to the NextMinute support and feedback centre. 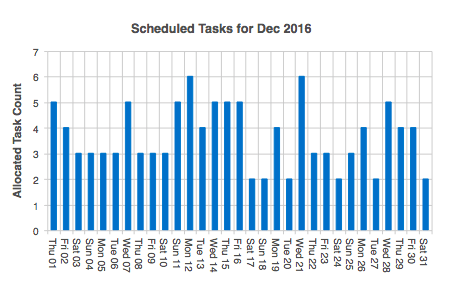 The below graph shows the number of scheduled tasks for each day. This is a good way to see your busiest days and how much work you had allocated to your team for the month. We can see below that on Wednesday 21st December 2016 we had 6 Tasks allocated. Hover over a day to see the exact total. This graph coincides with the above Scheduled Tasks graph, here you can see how many tasks were allocated to each team member for the month. 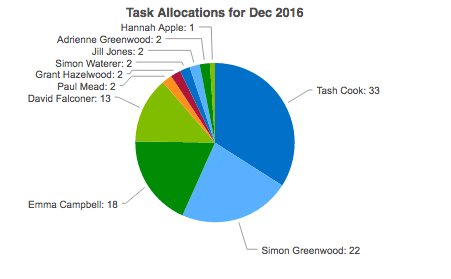 The below graph shows that Tash Cook had the most tasks allocated to her in December. 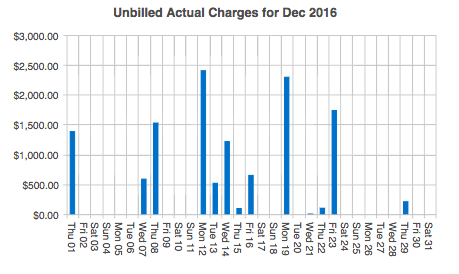 This graph shows you all the unbilled charges against Jobs and tasks for each day in the month. 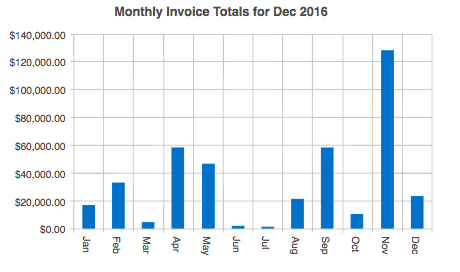 This is useful for quickly seeing what still needs to be invoiced for a month at a glance. You can then organise your Jobs list and Scheduled tasks list by date to see the unbilled charges that still need to be invoiced. Hover over a day to see the exact total. This graph shows you the total amount that has been invoiced for the month. You can quickly compare what has been charged out to your customers for each month. We can see below that we invoiced the highest amount in November. Hover over a month to see the exact total. This graph is great for seeing how many hours your team logged for the month. This will quickly show you who is entering time into their timesheets and who has logged the most hours for each day of the month. 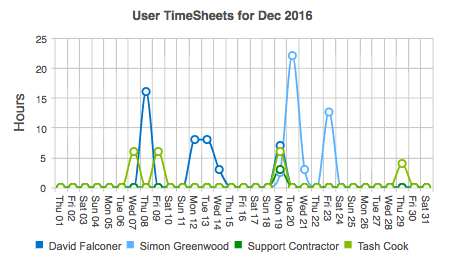 Below we can see that Simon logged 22 hours on Tuesday 20th December 2016. Hover over a point to see the exact total.